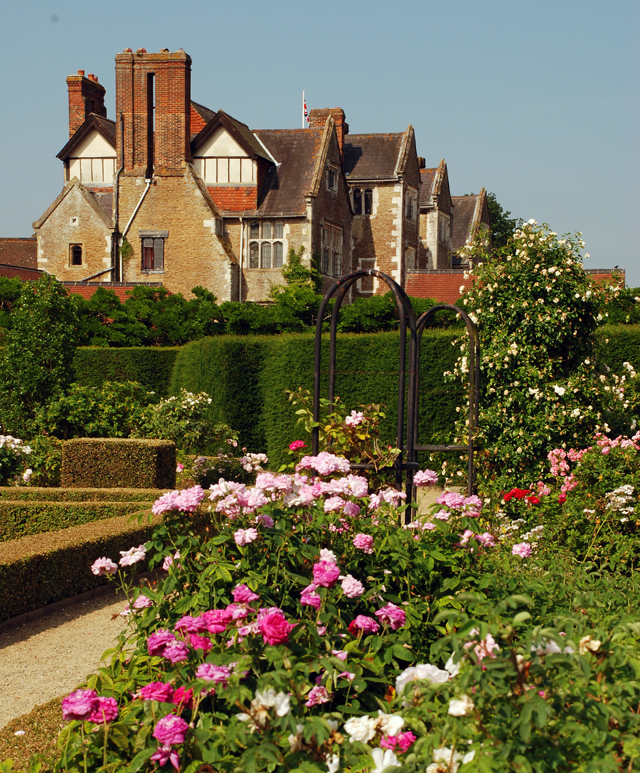 This is my final post about my visit to Loseley Park last week. 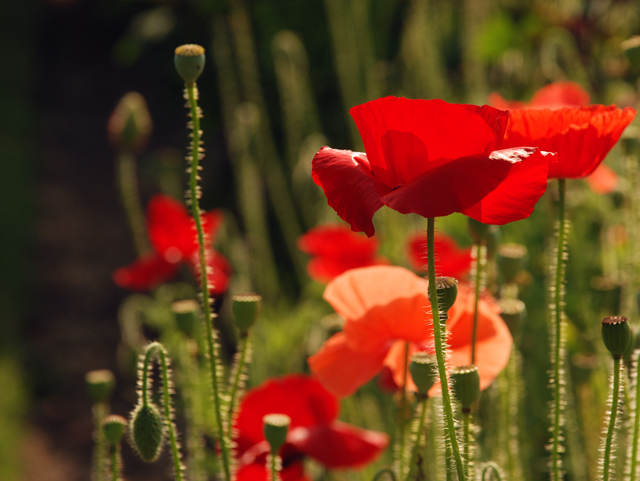 If you missed my earlier posts about The White Garden, Flower Garden and long water pond, you will find these at the bottom of this one. 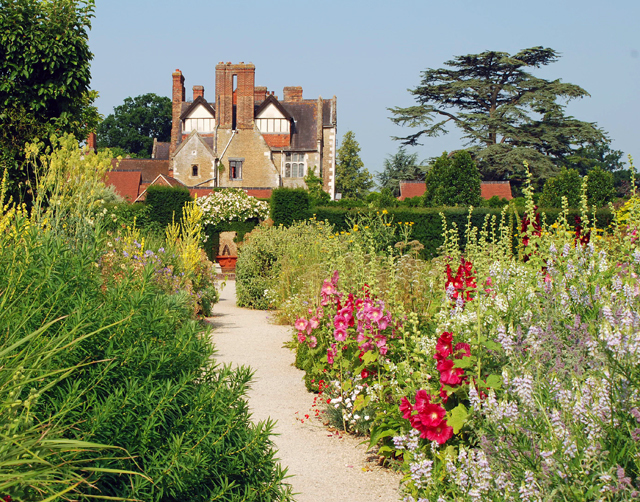 This picture is taken in the herb garden, looking back towards the house. 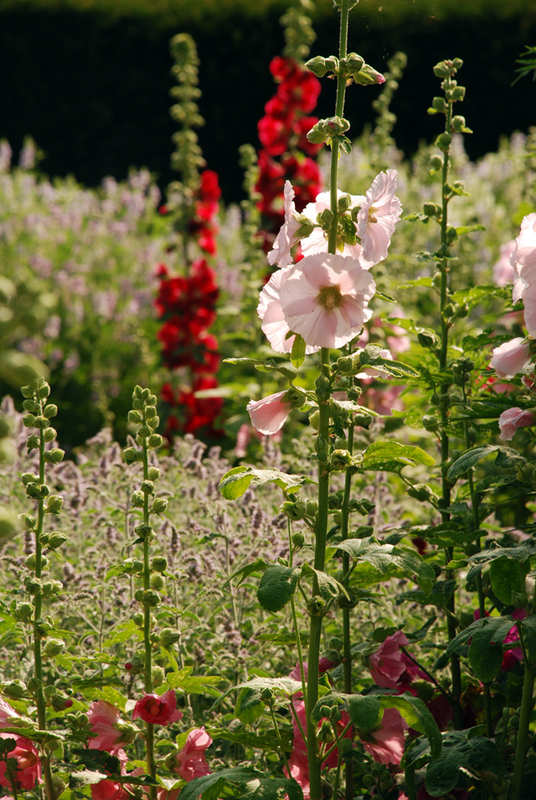 The hollyhocks were absolutely stunning – we timed our visit perfectly for those! 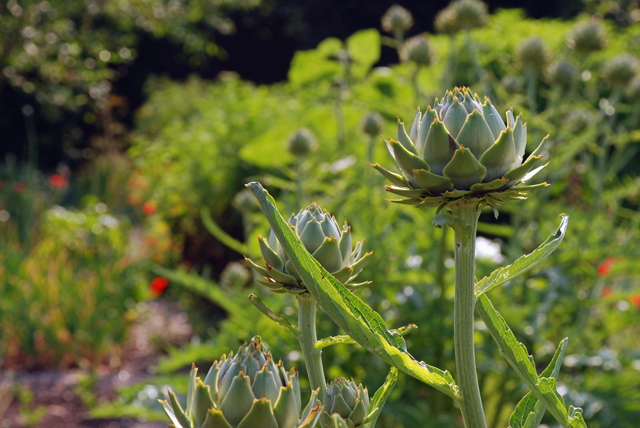 The Herb garden is home to over 200 herbs which have either culinary, medicinal, household or decorative qualities. 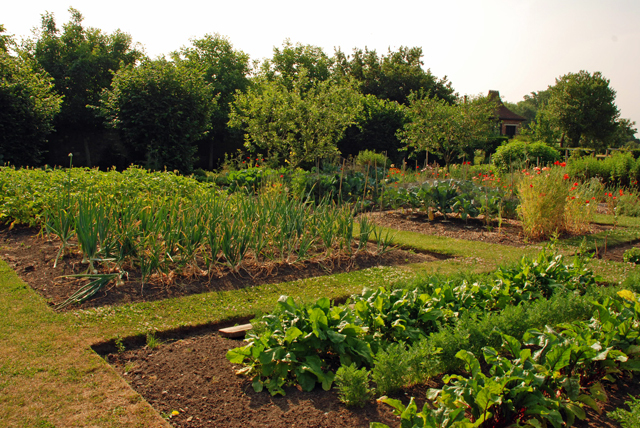 The Organic Vegetable Garden is a fully functional and productive garden, but equally as attractive. 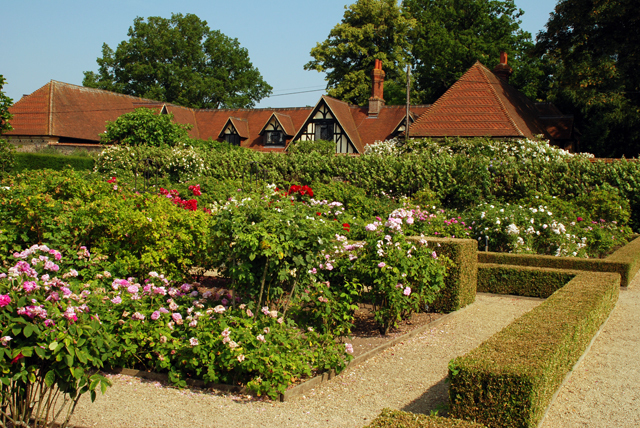 The roses in The Rose Garden were fabulous this year and I’ve noticed that they seem to be healthy everywhere, probably due to the dry and hot weather. 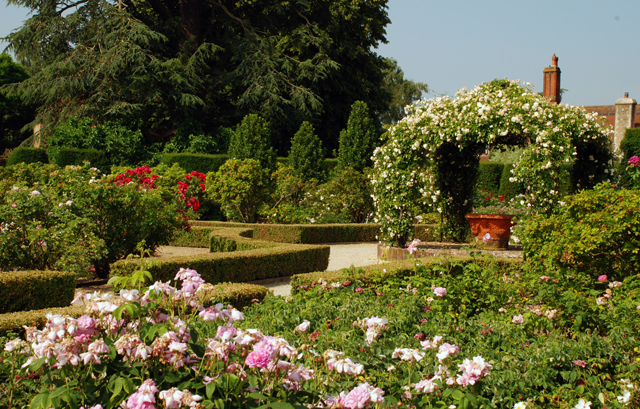 It was a bit bright by the time we got to take photographs here, but I hope you can imagine the scent that hits you as you walk through. 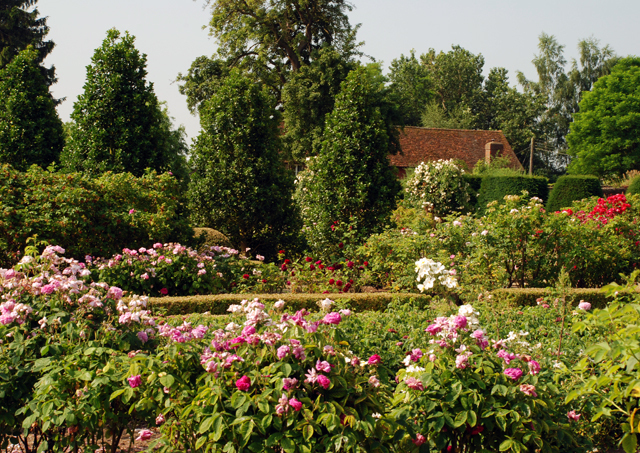 Burney, the head gardener, was busy deadheading when we left…rather him than me! 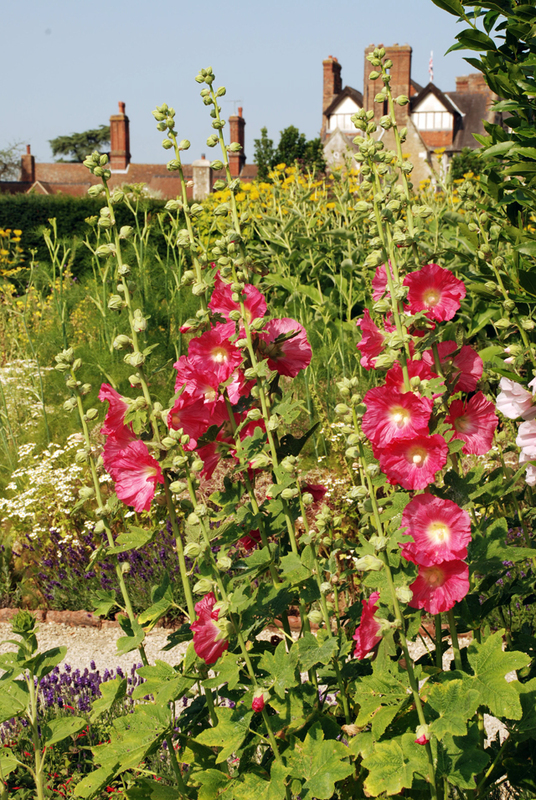 Your’e welcome Jenny – Burney is brilliant, such a great plantsman and the succession of planting is always first class. 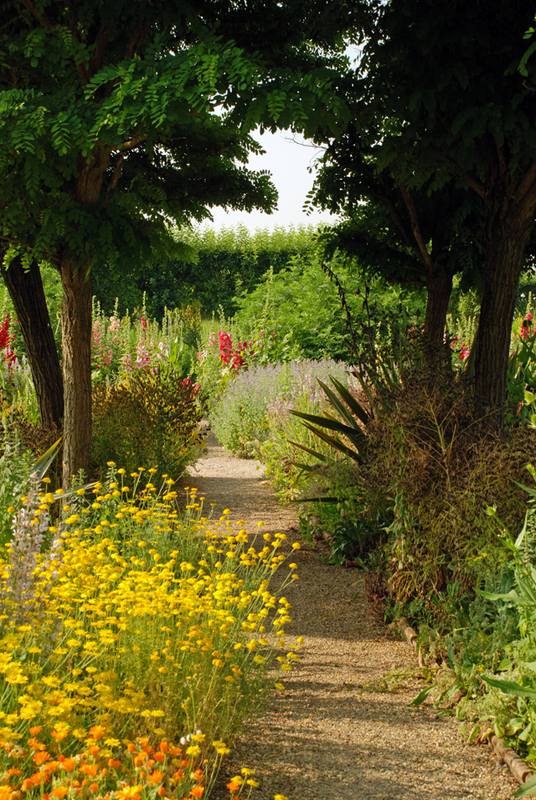 Lovely pictures – it’s an amazing garden in all seasons, but still not hugely popular, and rarely crowded. I feel so lucky to work behind it ! You’re absolutely right Sophie – shame in a way, but not for those of us who like it to be quiet!